Star Wars fans have a whole new trilogy to look forward to once The Force Awakens hits theaters later this year, but during the off years between episodes we’ll also be getting standalone spinoff films featuring…well, we don’t really know yet. But the first of those spinoff films suffered a potential setback earlier this month when screenwriter Gary Whitta parted ways with the project. Now we know who will be taking Whitta’s place: Oscar-nominated screenwriter Chris Weitz. The news comes via THR, who report that Weitz will be taking up Whitta’s lightsaber on the upcoming Star Wars spinoff film, which is currently slated for a 2016 release and is being directed by Gareth Edwards (Godzilla). Weitz is best known for co-writing/co-directing the 2002 flick About a Boy, based on the novel by Nick Hornby, which earned him and his brother Paul an Academy Award nomination for Best Adapted Screenplay. He also wrote and directed The Golden Compass in 2007, a failed would-be franchise starter based on Phillip Pullman’s controversial novel. More recently he tackled another YA franchise by directing The Twilight Saga: New Moon. The Twilight connection might unnerve some Star Wars fans, but that’s a case where it’s the source material that’s the problem, far more so than Weitz’s directing it. Earlier rumors suggested that Whitta’s writing duties would instead be taken up by Simon Kinberg, an executive producer on the Star Wars Rebels animated series and, along with J.J. Abrams and Lawrence Kasdan, one of the earliest architects of the Disney era of Star Wars. Kinberg and Kasdan are reported to be writing the second Star Wars film, with Chronicle‘s Josh Trank at the helm and a targeted 2018 release date, so it’s not surprising that Kinberg’s name would float up after Whitta’s departure. 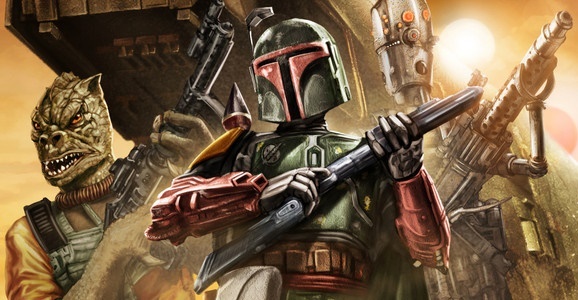 The as-yet-untitled Edwards/Weitz Star Wars spinoff is rumored to focus on a young Han Solo, or maybe Boba Fett and some bounty hunters, or maybe all of the above. The one solid lead we do have is that there will apparently be a prominent female character in the mix, as multiple Hollywood actresses are reported to be testing for the role, including Tatiana Maslany (Orphan Black), Rooney Mara (The Girl with the Dragon Tattoo), and Felicity Jones (The Theory of Everything). The Force Awakens is justifiably one of the most anticipated movies of the year, but in many ways Edwards’ spinoff film is even more intriguing. A third Star Wars trilogy has been rumored for decades now, but the standalone spinoffs are emblematic of this new era of George Lucas‘ franchise that’s just getting started. The old Expanded Universe has been replaced with a more strictly policed continuity, and beloved characters like Han Solo will likely follow in the footsteps of Batman and James Bond, replacing the actor that originated the role with someone new. Disney already has an ideal template for this sort of thing in the Marvel Cinematic Universe, but Edwards’ spinoff film will still serve as a proof of concept for the ambitious future the Star Wars franchise is currently sketching out. The first Star Wars spinoff film will hit theaters on December 16, 2016.